Come take a bite out of Apple Salon. Located in one of Guelph's original historical buildings, in the heart of downtown Market Square. Apple Salon gives a cozy and inviting feel while providing top of the line beauty services along with sustainable salon solutions. Apple has partnered with Green Circle Salons and Eufora International, people and planet friendly brands. Aligning with these brands allows us to stay passionate about our environmentally conscious practices. Through Education and Passion, we strive to be on the cutting edge in order to give you the guest, an amazing overall experience. We strive to give our guests environmental products that benefit them and help with the environmental footprint. Most products use water as a base but Eufora has raised the performance standard by using certified organic Aloe Vera gel as our product base. Known as the miracle plant, aloe is rich in over 200 biologically active substances, including 75 nutrients, 20 minerals and 12 vitamins. Aloe contains elements that are essential to cellular healing, renewal and growth. Aloe also delivers amazing antibacterial, anti-viral and antiseptic properties. It is a naturally effective solution to help alleviate the symptoms caused by skin and scalp conditions such as acne, dandruff and seborrhea. Eufora is the only salon professional product line to provide certified organic Aloe Vera in the optimum quality and concentration required to deliver its true power. Along with Aloe Vera, Eufora products utilize the most advanced botanical ingredients available, as well as pure essential oils to fragrance all products for an aromatherapy experience. Eufora products are known for quality ingredients, but almost as impressive are the ingredients missing from Eufora products. We don’t use synthetic fragrances, Sodium Laureth Sulfate, carcinogenic or suspected carcinogenic ingredients in any of our products. 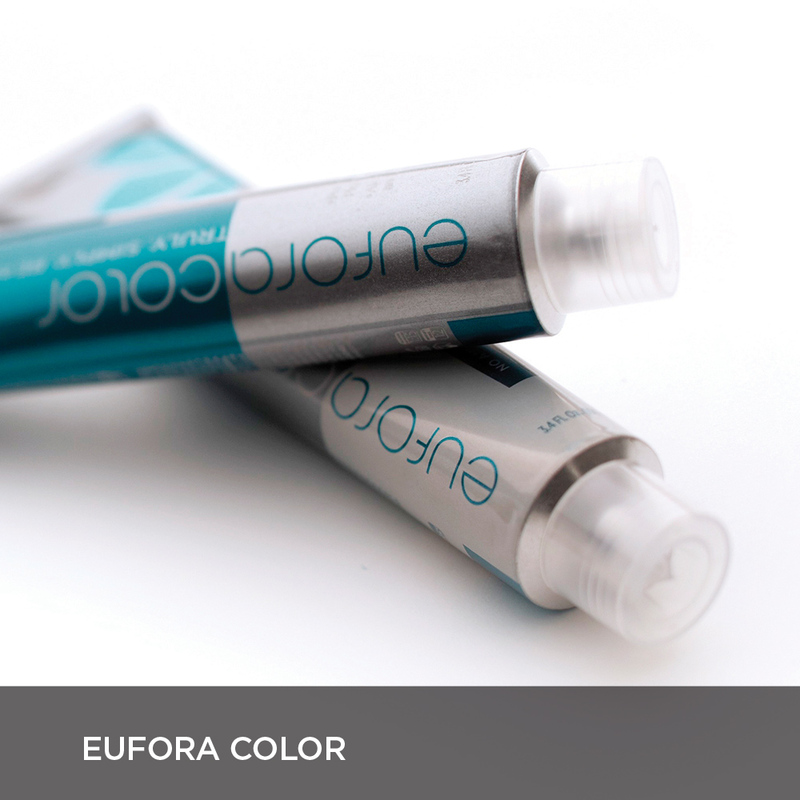 EuforaColor was created with advanced hybrid technology that incorporates LOW and NO Ammonia color at extremely low percentages. Their full range of products allows all stylists to create whatever they can imagine.